These are new sets which the buyer returned sets which the buyer bought the wrong size or type. Some letters may be out of order or have light scuff marks which is not noticeable when placed on the sign. Flex Change Condensed style 8 inch letters is narrower than block letter styles so more letters will fit on the sign. 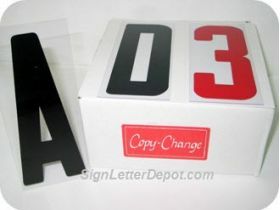 Flex Change Letters is the most popular of all flexible plastic letters. The pre-packaged sets comes with the optimial assortment of letters to spell out any message. Printed on thin flexible plastic, flex letters are sometimes compared to the thickness as a credit card and will bend from top to bottom without breaking. They are bent or flexed by hand and slip into the grooves of the Flex Letter Track (also called Texas Track). Flex Change is the original flexible plastic letter for portable signs and is commonly also used on many ground level signs, monument signs and church signs. 2 ea. - & # " ? Its important to check you letter size. 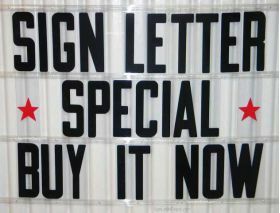 Make sure you get the right size letter to fit your signs measure your existing letters. If you don't have the original letters cut a piece of cardboard 8 7/8 or 9" high to test if this size fits. 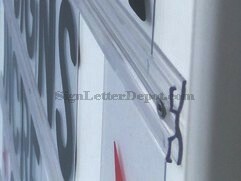 Note: These letters are not recomended signs with letters behind enclosure doors, vandal or wind covers. 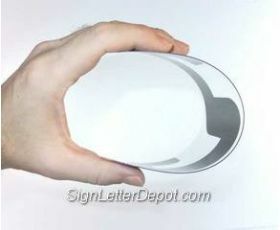 Refer to DR Acrylic Letters for enclosed signs . These are not replacement letters for Rigid letters, Gemini Pronto or Zip letters. Rigid type flat letters use a different type of track called "Push up drop down track". 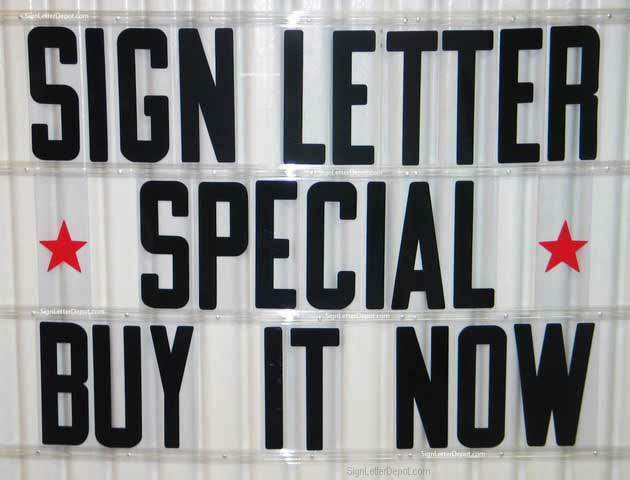 If your not sure the type of track or letter your sign uses visit our letter buying guide.